I think this weekend is a very good time to appreciate the role of radio communications, especially HF, in WWII and absolutely to those brave resistance fighters, agents and spies who kept information flowing and often gave their lives in the process. I raise my aerial to them, take my hat off and honour them. My wifes Great Grand father was shot & blinded on 28th November 1914 at Ypres. 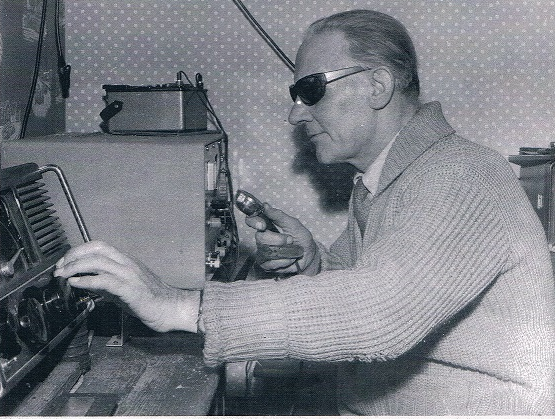 He later went on to gain his G3 callsign thanks to the Radio Amateur Invalid & Blind Club. (RABIC.) Which is still in existence today. Tony lived in Gloucester, went on, after being blinded, to train & work as a Physiotherapist & went SK in 1970. I do not know anything about Tony's radio operating years. But at that time it was largely home built or modified ex MOD kit & separate RX & TX. And personally I cannot imagine earning my G3, let alone operating the kind of kit he had available whilst blind. Currently I hold Tony's G3.